Mirror Mirror Beauty Boutique is excited to be one of the first aesthetic practices in Texas to provide two non-surgical fat reduction CoolSculpting machines. Unlike many offices that can only treat one area in an hour, Mirror Mirror has the ability to address two treatment areas at the same time. The beauty boutique can essentially cut the CoolSculpting treatment time in half. CoolSculpting is based around Cryolipolysis, a unique technique designed to erase stubborn layers of isolated fatty deposits. Two paddles, placed on either side of the target area, bring tissues down to an extremely low temperature. While the healthy tissues are unaffected, the fat cells are rendered lifeless, and are then naturally flushed away by the body. Each area of the CoolSculpting procedure takes about one hour to complete. Mirror Mirror’s double machines means two areas, such as both love handles, arms or thighs, can be addressed during the same 60 minute time frame. There is no need for patients to take time away from their busy schedules to treat the ‘other half’ of an area. 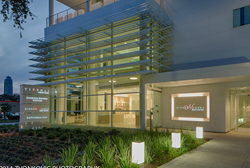 Houston’s newest addition to the medi-spa scene, Mirror Mirror Beauty Boutique is owned by Dr. Paul Vitenas, whose cosmetic surgery practice, Vitenas Cosmetic Surgery, shares the state-of-the-art and contemporary building. Through his meticulous attention to detail, the private setting offers unique luxuries such as a private entrance, Ulthera treatments, IPL treatments, the two CoolSculpting machines, and skin care products. “Nothing we do at Mirror Mirror is ever by chance. We strive to meet the highest standards of cosmetic care,” Dr. Vitenas explains. 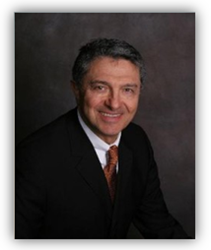 Board Certified Plastic Surgeon Dr. Paul Vitenas, Jr. has over 25 years of experience in cosmetic surgery. He is highly sought after for his extensive skill and his reputation. His specialties include facelift, breast augmentation, body lift, liposuction, and tummy tuck. The brand new office opened in early September, and has already proven itself to be among the most elite aesthetic practices in Houston, TX. Aside from CoolSculpting, Mirror Mirror Beauty Boutique also offers a wide array of noninvasive procedures to revamp and revitalize the appearance, including Botox, Radiesse and Juvederm Voluma XC. Mirror Mirror Beauty Boutique is located off Richmond Avenue, between Greenway Plaza and The Galleria, in the heart of beautiful Houston, Texas. Patients can schedule a consultation by contacting the office at 281-810-9083; however, drop-ins are always welcome.